IN THE WAKE of last month’s election in British Columbia, the NDP and Green Party appear poised to form the next government in Victoria. And yet, in their 10-page agreement, they make only brief mention of one of this province’s hottest issues: housing affordability. The agreement (which has sweeping implications for the future of governance in British Columbia) promises only to increase the supply of “affordable housing” and tackle “speculation and fraud” in the housing market. It’s difficult to discern what specific policies these promises will inspire. A few things come to mind, however. Obviously it’s important to distinguish between “affordable housing,” often used to define government-owned or subsidized housing for vulnerable groups such as disabled people or families in poverty, and housing affordability, basically the ability for average workers and their families to live comfortably in a house, condo or apartment. Housing in a city or province is affordable, broadly speaking, if the vast majority of citizens can adequately house themselves without any assistance. While helping vulnerable groups is important, ensuring broad housing affordability is key to any region’s quality of life. 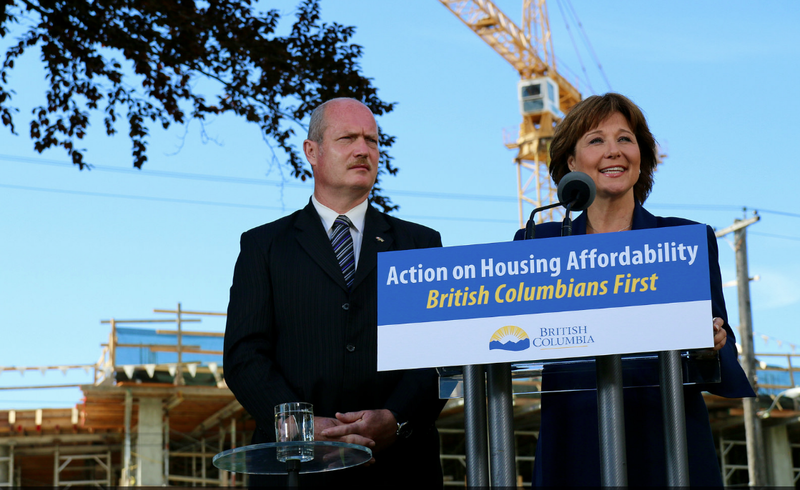 Nevertheless, with a New Democratic government backed by the Green Party, increased spending on affordable housing in B.C. seems likely. But broader efforts to address housing affordability for the general populace remain unclear. If B.C.’s new government wants to improve affordability for average citizens, it should recognize the housing market fundamentals of supply and demand. In a market economy, homebuilders and property developers respond to increased demand for housing by building and marketing new homes and communities. If growth in demand outpaces their ability to add supply, prices go up. After all, a growing pool of potential buyers and renters bidding on a dwindling number of listings can only make housing more expensive. If housing affordability for average British Columbians is the goal of politicians, local and provincial governments should reduce barriers to housing development. Unfortunately, recent research by the Fraser Institute suggests this isn’t happening in the most desirable areas of the Lower Mainland. Researchers surveyed developers and homebuilders about their experiences in obtaining building permits at city halls across the region. It turns out there are huge disparities between municipalities when it comes to red tape. It takes 21 months, on average, for Vancouver City Hall to approve housing projects. Just across Boundary Road in Burnaby, it only takes seven months. South of the Fraser River, it takes just under 15 months in Langley Township, and 11 in Delta. Vancouver also has the thickest red tape in the region. It costs typical homebuilding projects almost $80,000 per new dwelling unit to comply with city regulations – almost $30,000 more than in Surrey, the next most expensive city for homebuilders. Beyond measuring the scope of the problem, these numbers highlight potential solutions to a lagging housing supply. Because the disparities are so large between Lower Mainland cities, there’s a great opportunity to share best practices. After all, municipalities and the province already collaborate to provide services such as transit and policing. Why not also talk about processing building permit applications in a timely, cost-effective manner? Whatever housing policies B.C.’s new government adopts, it should not lose sight of underlying market dynamics. Improving the ability of homebuilders to respond to growing demand is an important first step towards affordability. It also comes at little cost. Otherwise, red tape and costly permitting will continue to strangle supply, pricing many British Columbians out of the housing market. Josef Filipowicz and Steve Lafleur are analysts at the Fraser Institute. I recognize the fact the NDP and Green Party power base is on the coast and island. Also recognize the fact that there is a housing crunch in the area of Vancouver. But on the other hand, other communities throughout BC have housing affordability as well and must be dealt with.